I’ll be honest, the only reason I’m able to write this is because it hasn’t fully sunk in yet. I know it happened. I’m aware of it and, believe me, I feel it. But I’m not even sure I’m processing it yet. 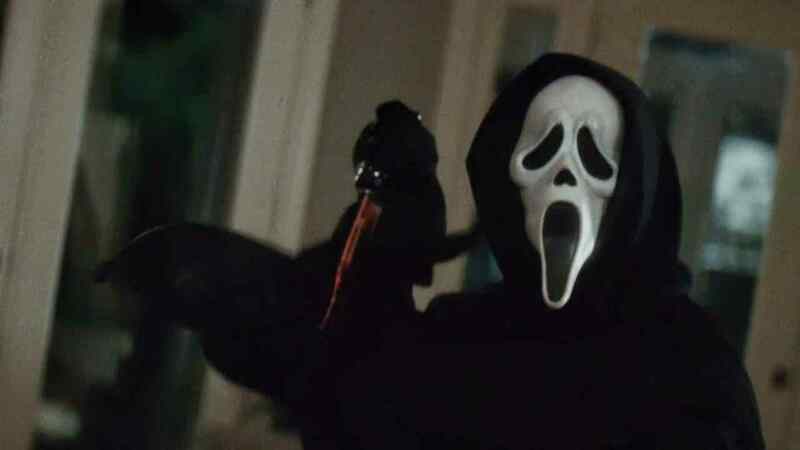 The idea of a world without Wes Craven is still an abstract concept to me, even if on some level I’m aware that’s where I live now. I can barely remember a time when this man, his name and his work, were not a part of my life. I never met Wes Craven, but it still feels strange to say I didn’t know him. He was the first director whose name I ever learned, long before I began to study that sort of thing. I knew his work. Through that work I got a glimpse into the man himself and the way he processed and perceived the world. Only a glimpse, but maybe it was enough. I was eight years old when I discovered Wes Craven. Like most people, I think, my first encounter with the maestro was A Nightmare on Elm Street. I knew who Freddy Krueger was before watching the film. I had a basic concept and had seen his general appearance on the posters and VHS box art. But the moment I sat down to actually watch that film, I was hooked. I could not look away. As soon as it was over, I rewound the tape and watched it again. It was not my first horror movie, but it was one of them and it came so early on that it helped to shape me tremendously. Growing up as an American child in the 1990’s, raised by the television, people like Wes Craven—and later John Carpenter and George Romero—felt like members of the family to me. If they were not my other fathers, then they were at least the cool uncles, the ones you got excited for every time you heard they were coming to visit and built up as legends in your mind. But Wes Craven was a legend. He still is a legend and he will always be one. One of the smallest comforts I can take at the moment is my firm belief that as long as we talk about film, we will be talking about the films of Wes Craven. The man is gone but the body of work he left behind will never go away. I’m not just talking about his boogeyman Freddy Krueger. I’m talking about his filmography. From Last House on the Left to Hills Have Eyes to Serpent and the Rainbow and Shocker, each one left a mark on the genre. While some of them gained a bigger audience than others, each showcased a thoughtful and intelligent filmmaker, regardless of the genre he was working in. It’s no mistake that Craven chose the horror genre to call his home, either. Like Carpenter and Romero, Craven was an extremely socially conscious filmmaker and saw the benefits of the horror movie for telling the stories he wanted to tell. Throughout his career, he constantly challenged the stereotypes of what people thought a horror director could and should be. The furthest thing from a harmful individual, he had a reputation for being one of the warmest, kindest people in the industry. Every time he was criticized for working in horror, he offered an intelligent and thoughtful defense of the genre, often pointing out the ways in which it was only not harmful, but was actually important. I urge people to check out archival interviews with the man, because everything he had to say about the genre was fascinating and did quite a bit to lead me to do what I am currently doing. I know there are a lot of people today saying that Wes Craven was one of their biggest inspirations, but I’m not going to lie and say he wasn’t. Wes Craven was one of the most prolific directors in the genre’s history, constantly redefining the tropes and conventions of horror right up until the end of his life. He was one of the few of his contemporaries to never really stop working, having directed his last feature in 2011 and working on several projects that now will probably never see the light of day. Even when he did retire, it was not advertised. Always appearing to be a quiet, introspective man, it makes sense that he would have kept his health issues hidden from the media, but that doesn’t make it any less of a shock. In a career spanning over forty years, Craven directed some of the most important and influential films in the genres history, twice launching a renaissance and completely changing the game with A Nightmare on Elm Street and Scream. But those major hits shouldn’t undercut movies like The Last House on the Left or The People Under the Stairs, movies that are also extremely intelligent with their own unique messages. He was a unique horror director in that his features were always as philosophical as they were social and political. Craven was fascinated by the morality tale. But he never told a simple fairy tale, his works were never about the punishment of youth. Instead, he was fascinated by the very concept of morality. In The Last House on the Left, when the parents discover that their daughter has been raped and murdered, they take matters into their own hands. But once their vengeance is done, they have no real victory. They’re simply standing there, silent, covered in blood, their daughter still dead. A Nightmare on Elm Street is the perfect inversion of the classic Grimm fairy tale because it is about the punishment of adults. It’s the sins of the fathers being revisited through the children, something that Craven had always been interested in. It’s the punishment of authority for not listening to youth. He brought these concepts to every film he worked on, no matter the concept or genre. Whatever he did, he took the work seriously. While not every entry was a huge hit like Nightmare or Scream, they all had value. There are still many great movies, like Shocker and The Serpent and the Rainbow that still don’t have the audience that they should have had from the beginning. I can’t say for sure if now is the perfect time to revisit them, but I do hope that people go back and look at his work, especially the features they may have overlooked the first time. Whatever he did, no matter what it was, he brought to it a sense of class and integrity. Sadly, he may be gone without knowing just how grateful we are for that, or just how much of an impact he truly had. But I think he knew. I think, I hope, that Wes Craven was aware that he was one of the most influential directors in history and that he redefined the genre. He was just too much of a class act to admit it. Whatever Happened to the Masters of Horror?